Patagonia's versatile Retro-X® has the ability to block chilling gusts and the fortitude for some serious ranch work. 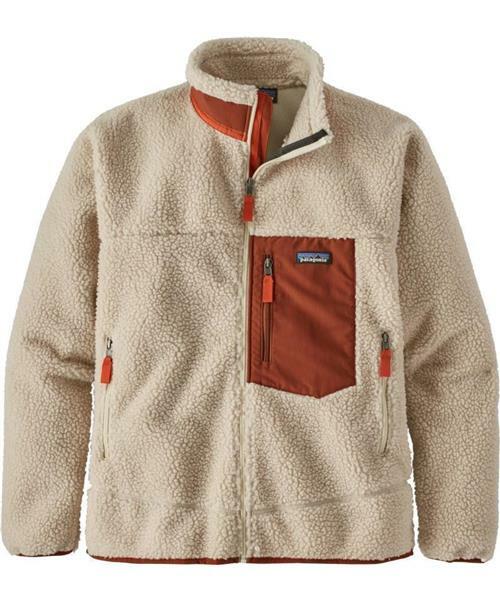 Its thick 100% polyester (50% recycled) bonded sherpa fleece has a soft and supple feel. A moisture-wicking, highly air permeable knit-mesh lining and a windproof/breathable barrier cut cold and wind faster than a tumbler of scotch. Details include Y-Joint sleeves for mobility, a vertical zippered chest pocket made of nylon plain weave and zippered handwarmer pockets lined with brushed poly mesh. Treated with Polygiene® permanent odor control, the Retro-X will keep you welcome among friends at the end of the day. Hip length.